It’s good to see some rain again. Normal watering hasn’t been getting through with the recent dry weather, but right now, it will get in while it’s still reasonably damp from last weekends rains. 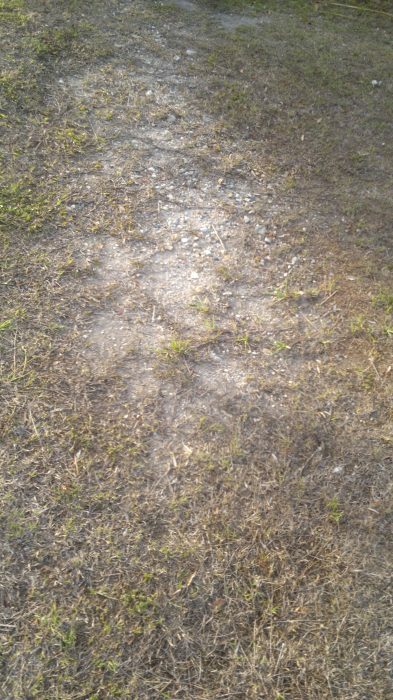 Lawns always go backwards in dry weather like this. Watering doesn’t get in properly, and leaves the lawn to create bare patches. 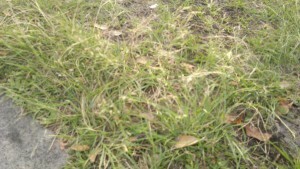 These same bare patches are the ones that those ugly weeds grow in during the winter. 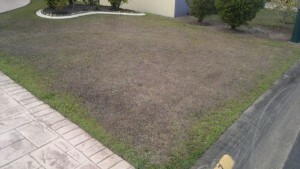 A thick lawn doesn’t allow the weeds to germinate, so you have to get it thick again. 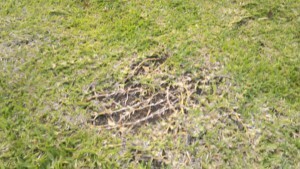 Often problems that can make it hard for the lawn to grow back is the depth of top soil the grass is growing on. Some places are bare with compacted soil, and unhealthy grass doesn’t grow through compacted soil too easy. Another tip is to not cut your lawn too low or too often in dry weather. It decreases the lawns ability to take up water and increases the need for you to water it. 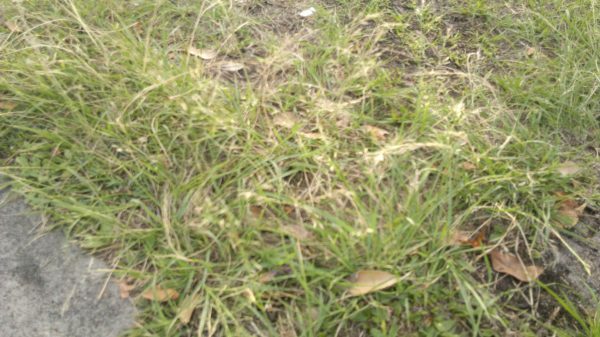 Some ways that grass gets affected and goes backwards is by compaction, dying back, and lawn insects. At least we have more control at what the soil doesn’t provide so we can fix the problem. There are a few ways to combat this. Loosen the compacted soil with a fork, and then top dress it with some softer soil. Clay soils are not fussy about what you put on them, except if it is loose clay again because this will generally compact again causing the same problem. A note compaction often happens on the front lawn, from parking on it, or from that naughty postman that every lawn lover curses. Top dressing clay soils with sand can help both with drainage and getting the grass to matt in again, while the roots reach down and grab the goodness from the clay. In sandy soils, you might find some brown patches. The best way to get it growing well again is top dress it with something a landscape supply yard calls top dressing soil. This will contain some manure which will make the lawn healthy once you water it in and it starts to matt its way through the new soil. Many yards have had their turf layed on pure sand, but as I have found those yards with sandy soil which have been excavated and have had good topsoil brought in have performed better in dry times than neighbours with pure sand. 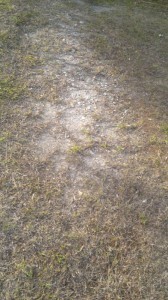 Continual top dressing can help alleviate this problem i.e every spring. out is another technical method of doing this. Personally there is nothing better for a lawn than top dressing and its not as hard as the other techniques. So for now, if it doesn’t continue to rain much, the best we can do is the occasional watering and top dressing our lawns to get it healthy again. This entry was posted in Garden Maintenance and tagged Lawn, Soil, Soil compaction. Bookmark the permalink.